If you or a family member has been arrested or charged with a crime, you need an attorney immediately. You could easily waive important rights or make harmful statements. From charges of drug possession and DUI to probation violation and assault, there are literally thousands of ways to find yourself arrested and imprisoned. The District Attorney and the police work for the state — they get search warrants, interrogate you, investigate you, file their charges, and prosecute you. You need an attorney at the outset to protect your rights. Please do not delay. Baron Legal will guide you carefully through each stage of your defense. We will investigate every witness, examine every piece of evidence, and research extensively. We will also make sure that you understand what is happening with your case and what to expect at all times. Our clients are free to ask questions at any time. 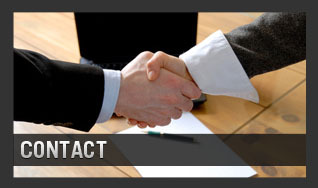 And, your questions will be quickly answered directly by the attorney handling your case. You have the right to be fully informed, and we will honor that right. • A criminal case generally starts with an arrest and booking. The police and the District Attorney tell the court what you are being charged with and file a formal charging document. It is important that you not make any statements at this point, or any other point, without the advice of a lawyer. • The first major step, if you are incarcerated, is to arrange for bail. Sometimes bail is granted according to a preset bail schedule that lists the bail amount for individual charges. It might be necessary to file a bail motion asking the judge to lower that amount. Our office will draft that motion, gather the necessary evidence and witnesses, and present the best bail motion possible. • You have the right to have an arraignment very soon after your arrest. At the arraignment, the judge will read the charges against you and you will have an opportunity to enter a plea. Your attorney and the prosecutor will also decide on the dates for future hearings. • During discovery, the prosecution and the police will provide copies of the witness statements, reports, analyses, and any other evidence that they have gathered. Your attorney must review the discovery to get a sense of what happened and to find inconsistencies in the prosecution's theory. You need a lawyer willing to work hard to go through the discovery and to do the legal research necessary to find the holes. • At the first pretrial hearing, the judge will set a trial date and consider any additional bail motions, discovery motions, or other issues. • Next, the court will hold a preliminary hearing to decide whether there is enough evidence against you to proceed. This is your attorney's first chance to test the District Attorney's case. The prosecution calls each witness, and each is cross-examined by your attorney. The preliminary hearing can be an important step toward negotiating a deal or a plea bargain, if appropriate. • Sometime after the preliminary hearing, the trial will begin. You need an attorney who has prepared and researched your case from the beginning — from reviewing the discovery and interviewing witnesses to doing extensive legal research. The prosecution will put forward anything they can to get a conviction. You need a lawyer who was laid the groundwork to test each piece of evidence and challenge each witness. 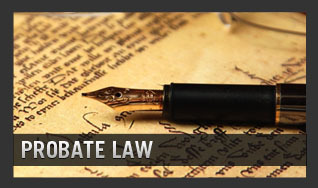 At each of the stages, you need a dedicated attorney on your side. The court may provide a public defender to you. And while the public defenders do good work, they generally handle many cases at a time and don't have the resources to provide the kind of representation that you will receive from Baron Legal. If you or a family member has been charged with a crime, please contact Baron Legal immediately. Our initial consultation is free, and we can schedule appointments at times that are convenient for you.